Your work requires you to be quick on your feet. You also need something to help keep you dry on those not so dry days. Don't let your work footwear slow you down or get you wet. 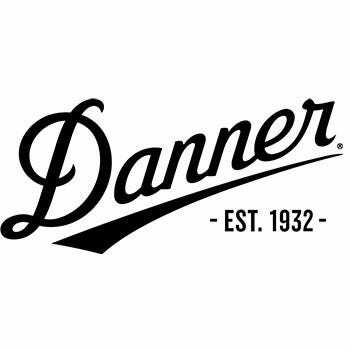 Try a pair of these Danner Men's 43027 Waterproof Striker Torrent 45 Black Military Wo ... (see full details) (see specifications) #DNN43027. Your work requires you to be quick on your feet. You also need something to help keep you dry on those not so dry days. Don't let your work footwear slow you down or get you wet. Try a pair of these Danner Men's 43027 Waterproof Striker Torrent 45 Black Military Work Boots and find out just how speedy you can be! These Danner boots are designed to help you move quicker. They even have a speed lace fastening system with a secure fit. In other words, you can get these Striker boots on super fast, and they'll be stable every time. The uppers are made with full-grain leather and a lightweight Denier nylon. These men's boots are lightweight all-around, and that's how they help you to stay quick on your feet. Sometimes when you wake up to start your day, the weather is less than pleasing. When it's wet and rainy, these work shoes will help you to stay dry. They have a 100% waterproof Gore-Tex lining that'll also help your feet breathe. Often a pair of waterproof boots can be too heavy and confining, but not these. You can wear these Torrent 45 boots and feel comfortable the entire day long - and you'll stay dry as well! New Danner TFX-8 platform is the lightest weight and most versatile TFX construction featuring a cross-stitch design which provides added durability and stability in the lateral toes and medial heel pivot zones. Nylon shanks give you added reinforcement, especially to your arches. The outsoles of this Danner footwear are Vibram Strike Torrent, meaning they're super lightweight. These durable outsoles also add durability and stability. They even shed water and provide maximum surface contact. They feature a 360-degree pentagonal lug pattern for grip in all directions, a flex notch design in key pivot areas, and a more rugged outer lug pattern. The polyurethane midsoles are removable and provide amazing cushioning while you wear these. The midsoles even add durability, which means these will last even longer! When you need to be speedy on the job put on a pair of these Danner Men's 43027 Striker Torrent 45 Waterproof Military Black Boots. You'll also stay comfortable and dry every time you wear them! These Danner boots, like all my Danner boots, are quality and comfort straight from the box. I wear these almost every day on duty as a law enforcement officer. Top quality, good looks, shine up great. Like my other Danner boots, these were comfortable and ready for duty right from the box. I wear these almost every day as a law enforcement officer, and their comfort, quality of manufacture and style always keep me comfortable. Danner Boots: Men's 43027 Black Striker Waterproof Torrent 45 Military Boots is being added to your cart.